Established in 1929, this all volunteer company is one of three fire companies serving Whitemarsh Township. 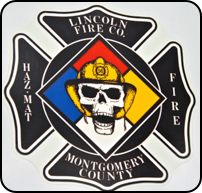 In addition to providing fire & rescue protection, it also operates as Montgomery County Haz-Mat Team 911 responding to all chemical, biological & radiological emergencies and WMD incidents. Squad 56 - 2000 Pierce Dash 1,750 gpm/750 gal. 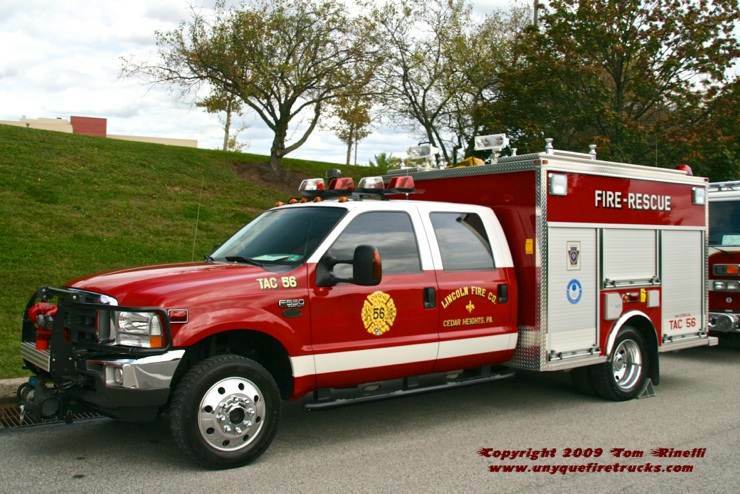 TAC 56 - 2004 Ford F-550/EVI 300 gpm/300 gal. 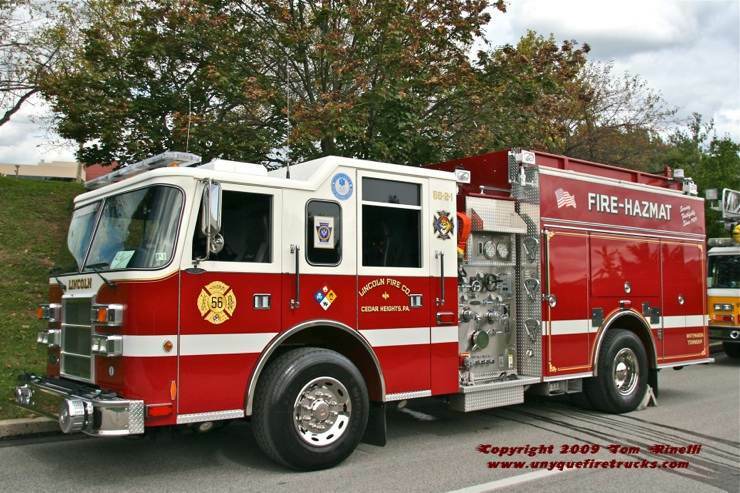 This rig was purchased in 1987 by the owner of the National Label Co., a local businessman who was a longtime supporter of the fire company and admirer of this truck for many years. 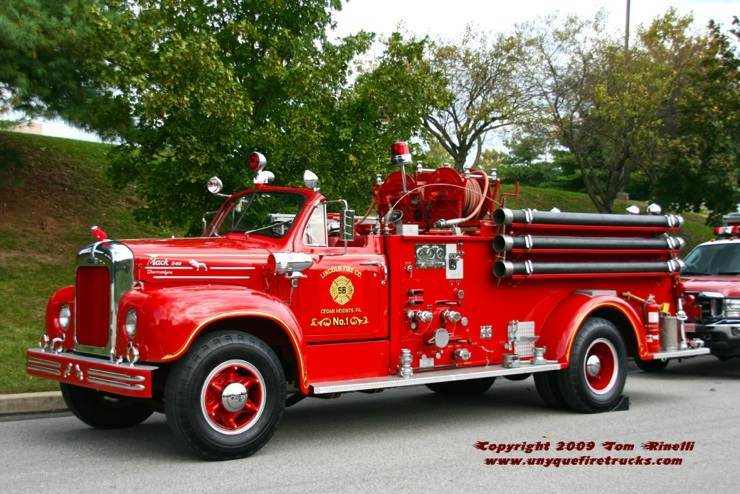 When he discovered it was for sale, he expressed interest during a casual meeting with the fire company and an agreement was written on a napkin which the company maintained as a historical momento. The rig was stored indoors for many years and remained in excellent condition as can be seen here. Upon this gentleman’s passing, the family donated the rig back to the fire company in March 2009 with the stipulation that they wanted the napkin back to preserve as a family memory. The fire company agreed (what a deal!!) and in true classic fire service form had the napkin professionally mounted in a presentation frame that was to be presented to the family in a formal ceremony in the fall of 2009. Special thanks to Lincoln’s chief for providing specs on the rigs, particularly the story behind the ’54 Mack’s unique history.